I enjoyed a sunny day down at Bodiam yesterday. I made a return visit to complete a painting I started last Saturday (see the previous image). 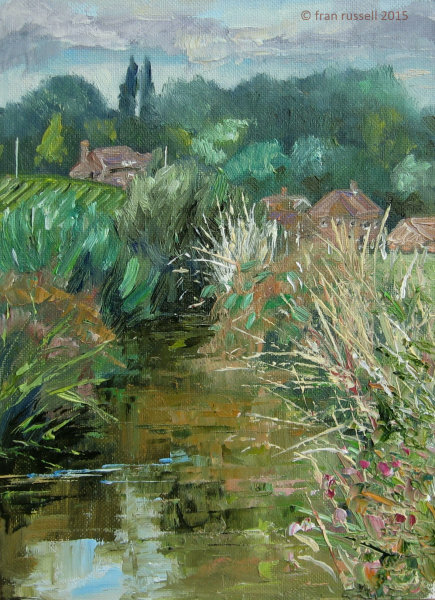 With my first painting finished I went on to complete a 2nd very small painting (turning my easel 180 degrees and moving it around 6ft down river, looking towards Bodiam village). Another lovely day!